was wondering if anyone out there can anwer a couple of questions I have.....earlier today I travelled to King's Park and went to look at the old Cathcart Churchyard.I particularly wanted to see the Covenanter's Memorial Stone which is in this yard. I couldn't find anyway in and was wondering if it is possible to get into the churchyard? Does anyone know how to get access that doesn't involve climbing over the wall? 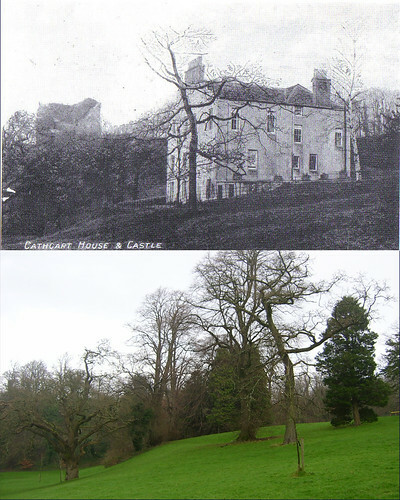 where abouts in Linn Park are the old remaining walls of Cathcart Castle? Are they near Court Knowe? locked during the school holidays.The monument to the covananter's is a table sort near the clock tower.The best entry is over the wall and the best bit to do it is at the corner of Manse Brae and kilmaling Road There is a raised corner. 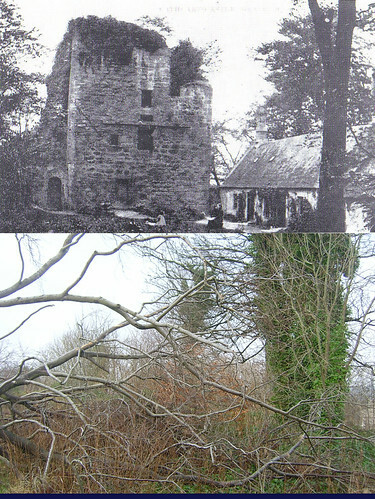 As for The remains of Cathcart Castle it is on Old Castle Road opp Court Knowe,It is a bit overgrown and might not look much but worth going in for a wander.Be alert as it is a very steep fall down to the path on the River Cart and can be a bit hard going underfoot. I was up at Court Knowe and thought the walls must be pretty close.....again I can go back.........I came up to Court Knowe via an overgrown path or track up from the entrance/exit to Linn Park on Seil Drive?? Do you know the name of the mansion house in Linn Park? it wasn't mentioned on the sign posts. It wasn't holmwood house as I was too far into the park for that. 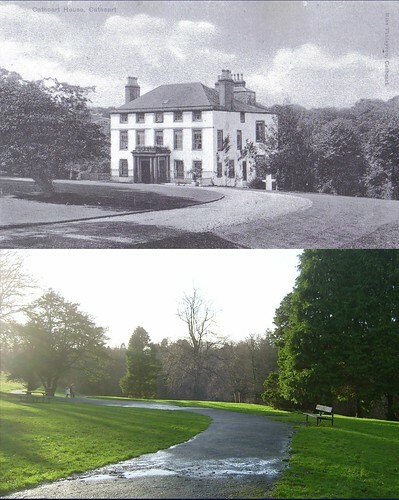 I visited Linn Park not long ago and took photos of Linn House. It has been converted to flats - or am I mistaken?? off to Holmwood House and Cathcart Cemetry this afternoon. The old parish churchyard is always padlocked Im affraid. School holidays or not so only way in is over the wall unless you are lucky enough to get there when they are mowing the grass. 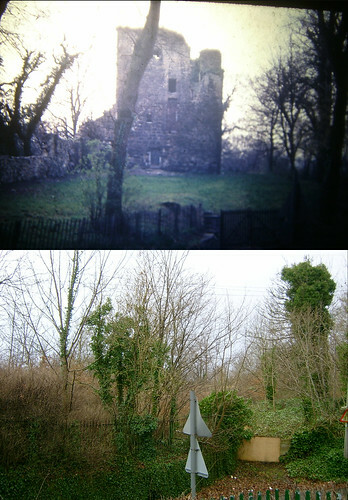 These pics should help you find the castle remains, sounds like you were close. discovered Cathcart cemetery this afternoon...like Glasgow's answer to london's Highgate.....amazing place......so overgrown and wooded..liked it alot..got lots of pics taken. Incase you are still interested in the old parish churchyard, there are archaeological surveys of the yard and the area round about going on just now so you may be lucky and find the gate open. I took a photo of the information yesterday but not put it in the comp yet or I would post it up. One of the attendees on the HG walk in Cathcart a couple of months ago brought along a similar document, although it had the cost of the brass handles itemised. That being a swizz, apparently, because the handles were only brass-plated. The Mary Queen of Scots Monument at Court Knowe is to have £20 000 spent on landscaping this summer. Just finished a drawing of Cathcart Castle ruins as it may have looked 30 years ago before it was flattened. As always with non-existent buildings you can't walk round to view the 3rd dimension, which has to be purely guesswork. Also drew a wee sketch of Holmlea School, which we are told is going to be preserved. Drawn the the way it may have looked before it was abandoned to deleriction?